Ok, so as formerly stated, this blog isn't the most updated as of lately. I stay hopeful that it will change at some time in the future. Sonner rather than later. In the mean time feel free to download my handout and files from this years BILT EUR event in Ljubljana. Feel free to use whatever! Thanks also to all the people that I met and to all the great sessions at the conference. BILT is fantastic. 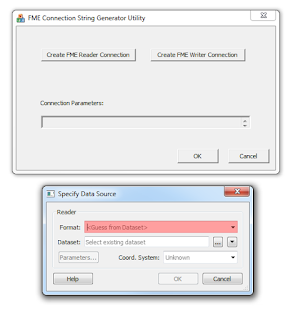 FME is a integration plattform for translation of data from a HUGE number of sources. Look at this list of compatible readers and writers: https://www.safe.com/fme/formats-matrix/#! 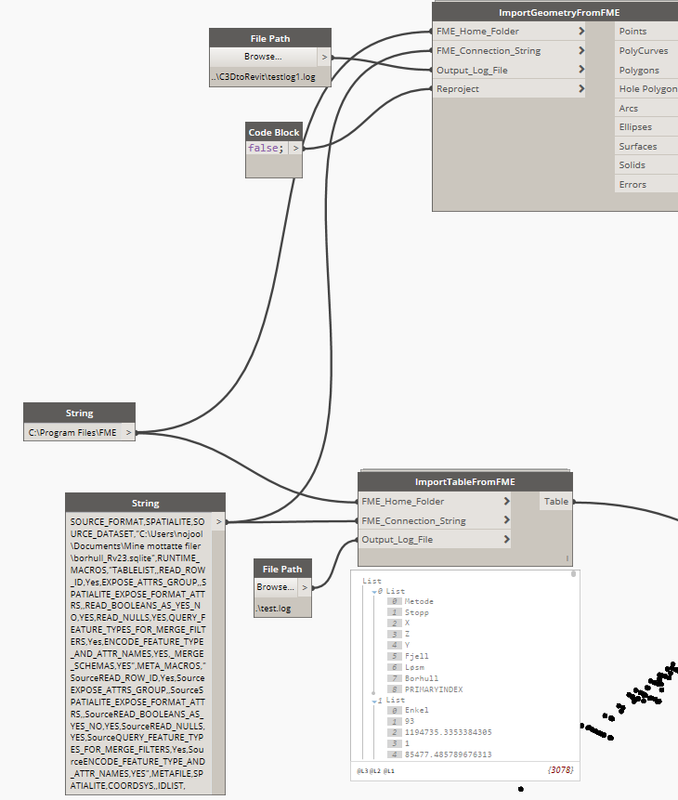 Safe software which makes FME has recently developed a addin for Dynamo as well, where you can read geometry and data using FME's .NET api. 2. FME 2018.0 or newer must be installed and licensed. 3. 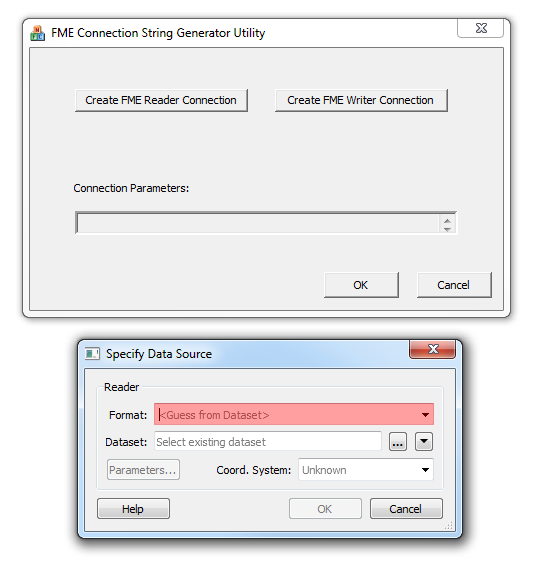 Click on "Create FME Reader Connection" and specify the datasource. 4. Click OK and copy the Connection Parameters string you'll recieve. 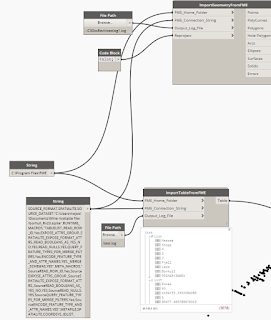 consider this the recipe for the FME .NET connection you'll do in Dynamo. Project Fractal has been around for a while now, and I have wanted to test it for what it is worth. In focusing only on formfinding and its like I feel we miss out on a lot of great potential uses for this piece of technology. What I've been thinking of is how we could make a cross border link between the old way of doing things and the new technology that are evolving so rapidly. I want to bring one of those ideas to the table in hope that it can spur others into doing things like it and create more examples that are really useful. We may even help Autodesk in marketing this product, who knows..
Anyways, At our office we have a lot of "old" excel-sheets for doing calculations of random stuff. Yeah, I know.. It's not BIM-ish, but it's the real world. But what if we could take the intrinsic logic of and intellectual capital invested in those Excel sheets and transfer it into some of the newer tools for parametric and generative design and thereby add value to the already invested time in developing these, really quite advanced, Excel-sheets. And one of the case studies was an Excel-sheet for calculating minimum reinforcement anchoring length. Not entirely sure if that is the correct english term, but I think you catch my drift. The only problem for using this in Fractal was that you can't use scripts that open files, so the downside was that I had to transfer the logic of the standards into Dynamo Studio itself.